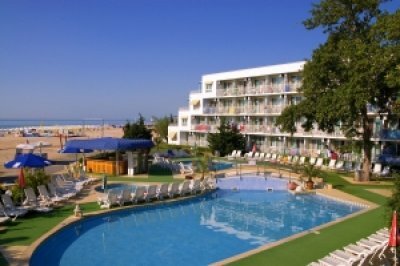 Kaliopa Hotel is a first line Albena hotel. It has own private beach and a sunshade and 2 sun beds are included in the room rate. The Kaliopa hotel offers internet access in the outdoor swimming pool are, in the restaurant and the lobby bar.